The regional workshop is organized by the United Nations Statistics Division (UNSD) in collaboration with the Department of Census and Statistics of Sri Lanka. The main objective of the workshop is to introduce four recently revised/prepared international guidelines for population and housing censuses—the Principles and Recommendations for Population and Housing Censuses (Revision 3), the Handbook on the Management of Population and Housing Censuses (Revision 2) , the Handbook on Measuring International Migration through Population Censuses and the Guidelines on the Use of Electronic Data Collection Technologies in Population and Housing Censuses—and the standards, concepts and methods contained therein in order to facilitate national planning and preparations for 2020 round censuses. The workshop will also provide a forum for reviewing national experience in, and document good practices on, the use of contemporary technologies including those for census mapping and data collection. The workshop is intended to develop the capacity of the Department of Census and Statistics of Sri Lanka to adapt CensusInfo to its full potential as a platform for disseminating census data. The training participants will learn various processes involved in the adaptation of CensusInfo, including the preparation of CensusInfo template and database, importing data, language translation and customization of the software package. The sessions will include hands-on training on using the CensusInfo User Interface and Database Administration applications as well as an introduction to the process of web-enabling the CensusInfo database. 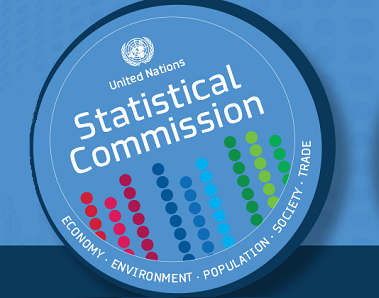 The United Nations Statistics Division in collaboration with the Department of Census and Statistics of Sri Lanka is organizing a Workshop on the Organization of National Statistical Systems and User-Producer Relations. It will take place from 21 to 24 July 2008 in Colombo, Sri Lanka. The workshop aims at highlighting the role of the national statistical office in general and, in particular, its relation to major user groups. This workshop is organized under a Development Account project on “Strengthening statistical capacity -building in support of progress towards the Internationally Agreed Developments Goals in countries of South Asia.” In addition to the Workshop, a consultation session with other development partners will be held in the afternoon of July 21 on statistical capacity-building in South Asia.